ASK: Forecasts for global 100% internet users? 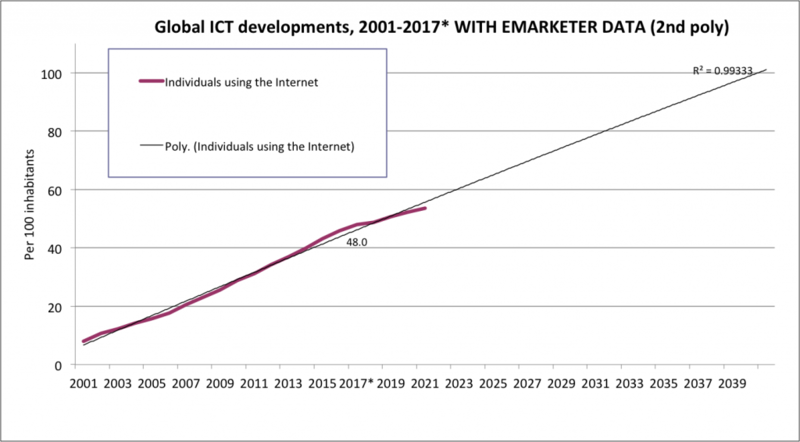 eMarketer publishes a ~5-year forecast of internet penetration every year. It’s most recent publicly accessible forecast showed a downward revision from the previous year’s forecast. This is the only significant forecast I’ve found for this indicator. 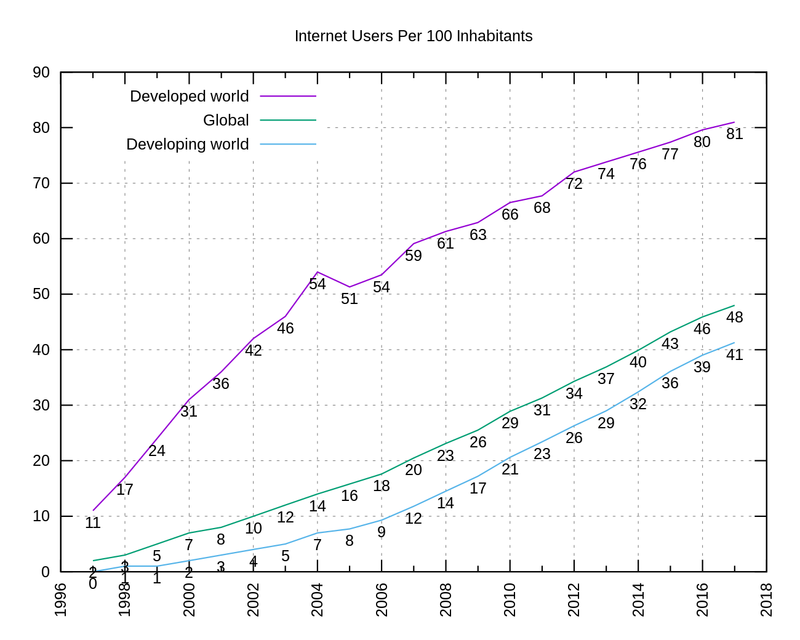 The International Telecommunications Union tracks internet users as a percentage of the global population. Historic data is available back to the mid 1990s. 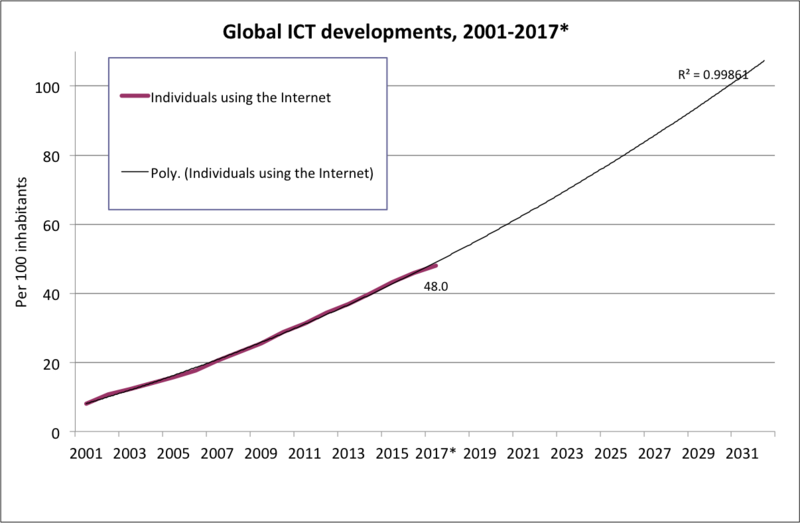 I’ve added a trendline projection, which suggests ~2030 as a possible saturation date. 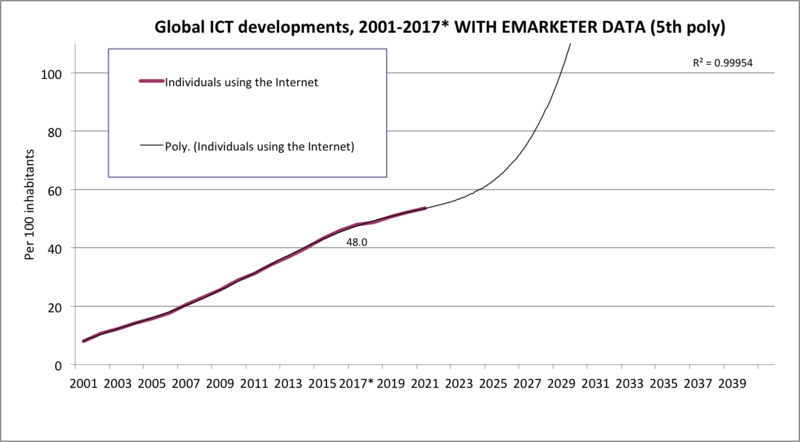 However, when eMarketer’s most recent forecast figures are added, the trendline wiggles. The same type of trendline (2nd order polynomial) then delays saturation until 2040. Adjusting the trendline type (to a 5th order polynomial) gives a better R-squared value, and again brings saturation back to ~2030. Newsweek’s fine print: The forecast has been calculated only using the annual figures provided by Facebook’s reports since 2004, and does not take into consideration technological progress or demographic changes. CC’s NOTE: In 2048, the UN medium fertility variant projection for world population is 9.7 billion. 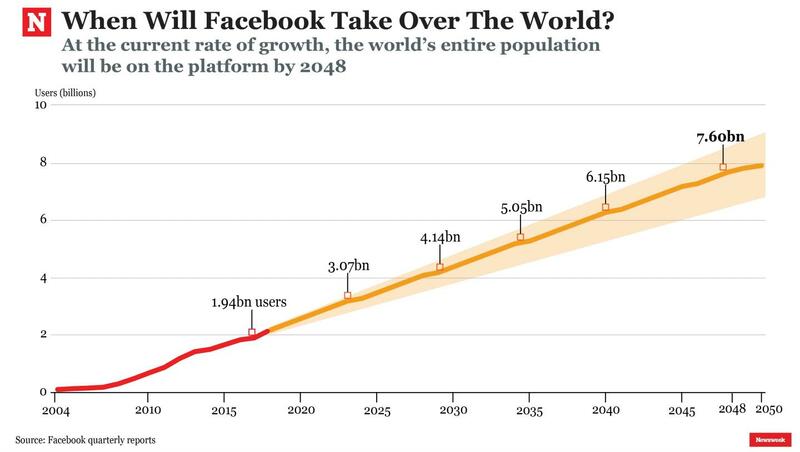 At 7.6 billion users, that would be about 78% of the projected 2048 population. That would be a big jump from the 26% of global population FB users accounted for in 2017, but still not literally everyone.